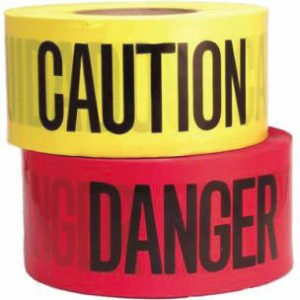 Safety Tapes and Reflective Tapes are highly visible in order to warn personnel of hazards or construction conditions. 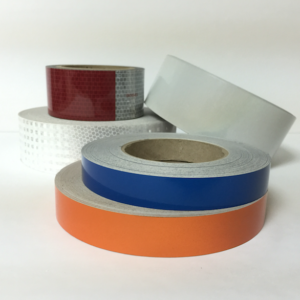 Safety tapes are used for industrial identification, color coding, aisle marking, bundling, flagging applications or to mark an area’s perimeter. Reflective tapes are used in rotating or moving equipment to provide clear markings that are visible to others. Some options rely on light reflection to show up in the dark, while others work as markers to warn others of potential danger. There are many different widths, colors and reflective styles available, ensuring there is an option for most situations. The correct safety tape and it’s application is critical to operations of any business. It protects, lowers costs, satisfies requirements, and pleases regulators. 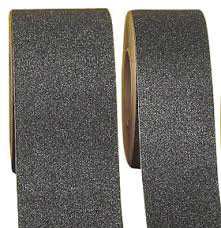 There are two choices of adhesives for Safety Tapes: non-adhesive and single-sided adhesive. 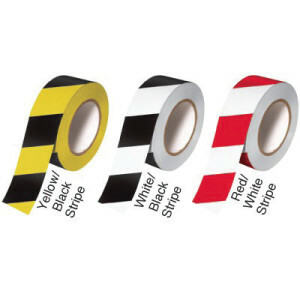 Non-adhesive safety tapes and reflective tapes not have an applied adhesive, but may be self-adhering. 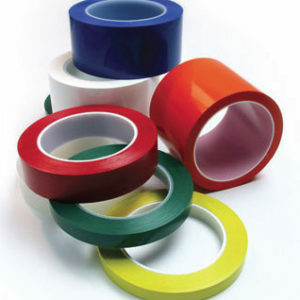 PTFE thread sealing tape or Teflon® tape is a type of non-adhesive tape. Teflon is a registered trademark of DuPont Dow Elastomers. With single-sided safety and reflective tapes, only one side of the backing or carrier is coated with adhesive. Thanks to 3M for the above vides of tape application and usage.